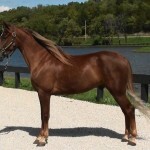 The Kentucky Mountain Saddle Horse is an equine breed that originated in the state of Kentucky in the United States. Initially bred by the mountain dwellers of this region, its adorable temperament and smooth gait has made it immensely popular in the recent times. Health Has no known breed-related concerns though proper care and regular veterinary check-up is needed for a sound health. 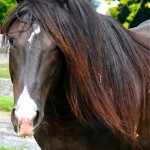 Feeding/Diet Grass, Hay, and Grain along with supplements of vitamins and minerals when they are unable to gaze freely. 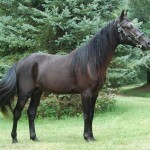 Though not much is known about the history of this breed’s origination, it is said to have its parentage from the Mountain Pleasure Horse, the oldest of the gaited breeds in North America, also being the parent breed for the Rocky Mountain Horse, American Saddlebred and the Tennessee Walker. 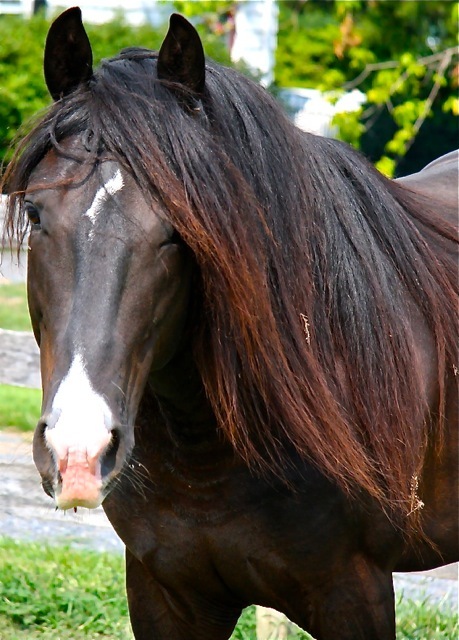 It also has its ancestry linked to the Narragansett Pacers, a sturdy, surefooted horse, brought by the people settling around the Appalachian Mountains in the eastern part of Kentucky during the 18th century. 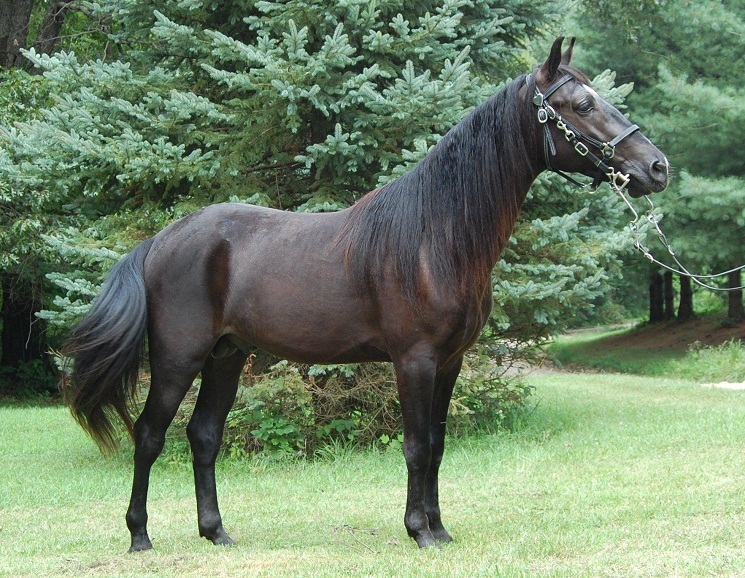 The farmers had developed this breed with the intention of using them for working as well as riding purpose. They were used for long distance travel over a rough terrain where pasture was scarcely available. Their gentle and pleasing personality made it easy for the younger people in the family to handle them. The utility of the Kentucky Mountain Saddle Horse for riding continues even in the present as they excel as perfect trail mounts for traveling in the rugged terrain. The KMSHA (Kentucky Mountain Saddle Horse Association) was developed by Robert Robinson Jr. in the year 1989, for the purpose of documenting, preserving and promoting this breed. It has a total of 3200 members along with 24,000 registered breeds up to the year 2011. 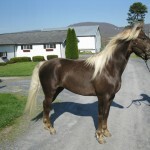 In the year 2002, the SMHA (Spotted Mounted Horse Association), a subsidiary of the KMSHA was formed for the purpose of registering having an increased amount of white markings as well as a pinto pattern along with a bald or completely white face and a white coloration above the knees or hocks. Foals with solid colors being born of parents who have been registered with the Spotted Mountain Horse Association can be registered with the same organization. 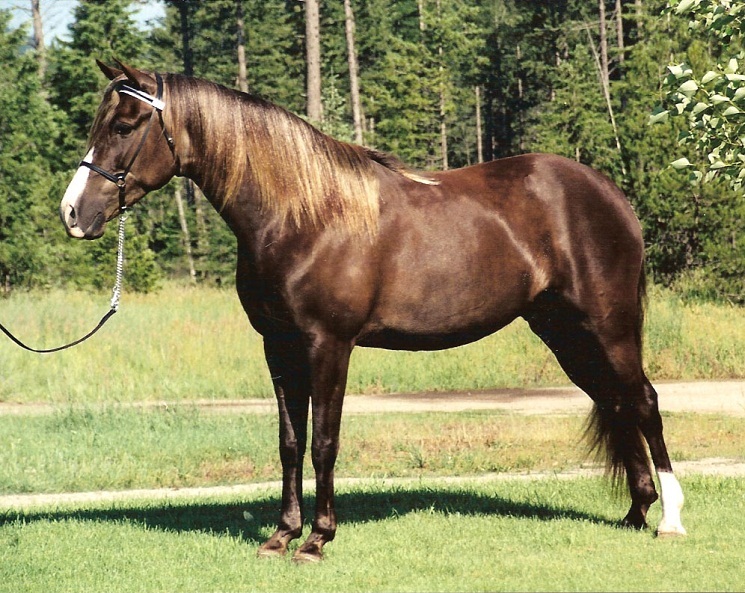 On the other hand, geldings that are solid colored, born of SMHA registered parents are eligible for registration with the KMSHA, though dual registration is not permitted. 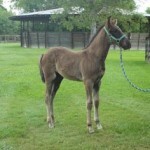 A foal born out of registered KMSHA parents are given a temporary registration post birth. It gets registered permanently prior to its first breeding or before it attains four years of age, whichever comes first. One of the main criteria for registration with this organization is that they should have a height of more than 11 hands, and the breeds acquiring this size are divided into two groups. The Class A horses are taller than 14.1 hands, whereas those categorized in the Class B group have a height between 11 and 14.1 hands. 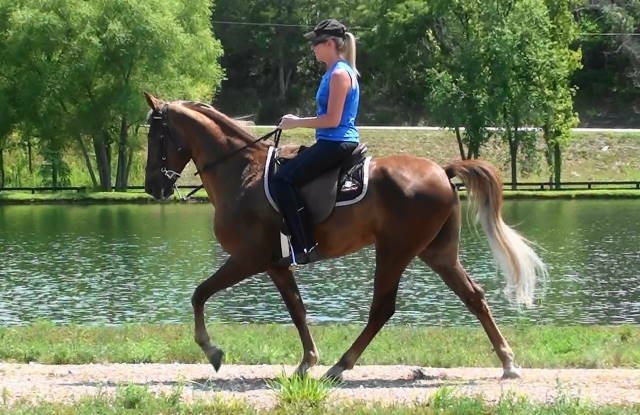 These horses must also have a smooth and natural four-beat gait. They even have to give a demonstration of their calm, gentle temperament and sense of willingness in front of the evaluators to be registered. 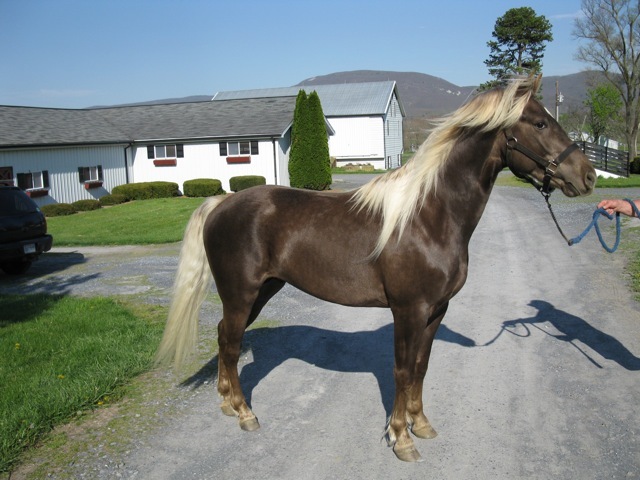 Mares and stallions born of parents who are not registered with the KMSHA will be a part of the main stud book only if they (parents) are registered with the Mountain Pleasure Horse Association, Kentucky Naturally Gaited Horse Association or the Rocky Mountain Horse Association. The Spotted Mountain Horse Association and the Kentucky Mountain Spotted Horse Association jointly organize a horse show at the Kentucky Horse Park in October (second week) every year. 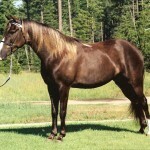 The KMSHA is credited to be the fastest growing saddle horse association at present. 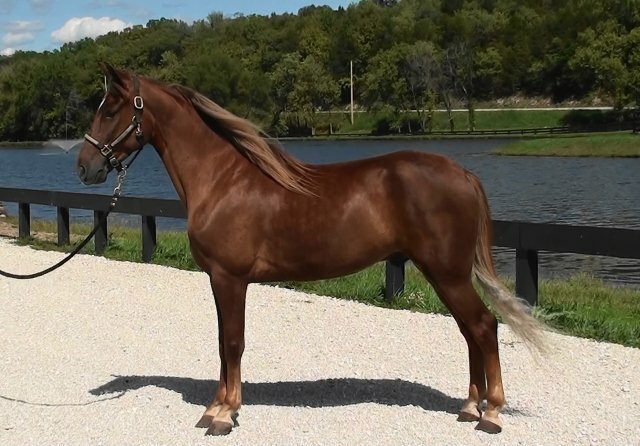 Though this breed gets physically matured at the age of five or six, they are ready to work under a saddle by the time they are three years old.